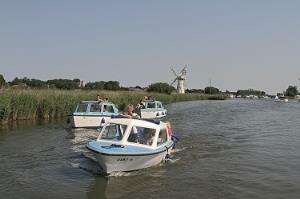 Explore the Norfolk Broads National Park from the water on board our Day Boats, Picnic Boats or Canoes. 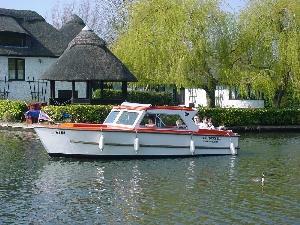 Whether you are celebrating a birthday or anniversary, looking for a unique corporate venue or just an excuse to have some fun with friends & a great day out we can offer you the most glamorous skippered day boat hire on the Norfolk Broads. 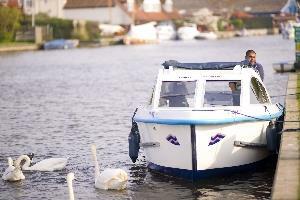 Small family run day boat hire in Wroxham. 30 years experience. Elecrtic and diesel powered boats. Sizes to suit most groups max 12 people. 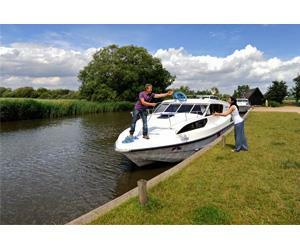 All-weather day boats available on the beautiful River Ant, from 2 hours or more. Phoenix Fleet Ltd near Great Yarmouth. Family business established in 1955. Electric powered day boats (quiet pollution free) for hire by the hour or day. Our Modern Day Launches seat up to eight people comfortably with cushioned seating and easy to fold away cover. Easy to operate, no experience required full tution given. Perfect for families, school parties couples and groups of friends. 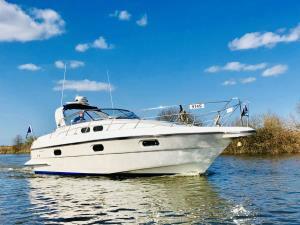 Norfolk Broads Direct Limited operates the Faircraft Loynes fleet of superb hire cruisers and waterside holiday homes on the Norfolk Broads. 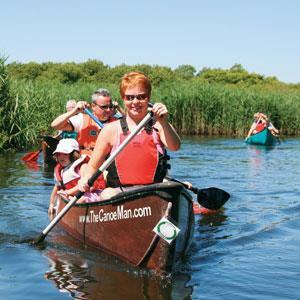 TheCanoeMan is the largest canoe hire operator in Norfolk/North Suffolk. 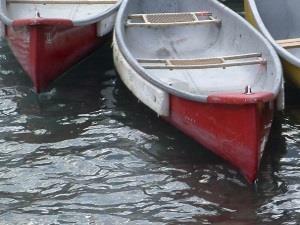 Enjoy a tranquil day’s paddling with us from Buxton Lamas on the River Bure to Wroxham.